Ethanol’s effects on intracellular signaling pathways contribute to acute effects of ethanol as well as to neuroadaptive responses to repeated ethanol exposure. 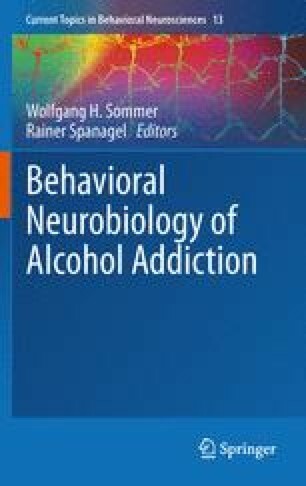 In this chapter we review recent discoveries that demonstrate how ethanol alters signaling pathways involving several receptor tyrosine kinases and intracellular tyrosine and serine-threonine kinases, with consequences for regulation of cell surface receptor function, gene expression, protein translation, neuronal excitability and animal behavior. We also describe recent work that demonstrates a key role for ethanol in regulating the function of scaffolding proteins that organize signaling complexes into functional units. Finally, we review recent exciting studies demonstrating ethanol modulation of DNA and histone modification and the expression of microRNAs, indicating epigenetic mechanisms by which ethanol regulates neuronal gene expression and addictive behaviors. This work was supported by NIH grants AA013438, AA016848, AA014366 to D.R., AA017072 (D.R. and R.O.M), AA018316, AA013588, and U.S. Dept. of the Army contract W81XWH-07-1-0078 to R.O.M., and funds provided by the State of California for medical research on alcohol and substance abuse through the University of California (D.R. and R.O.M.). The authors like to thank Carol Webb for editorial support.